Green Building Systems for Housing and Hydroponics. Get Off the Grid: DIY Solar Sale! At last you can afford to get off the grid! DIY SOLAR CELL PANEL KITS are on sale. We are also offering a FREE 18-page Solar Energy Report and a weekly newsletter with info re DIY energy projects, solar kits, and cool stuff we find from around the world! 4. blocking diodes (to keep panels from draining the batteries). 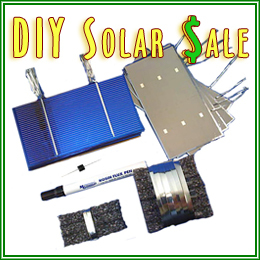 Kits also include DIY solar-panel guides and videos, and a DIY Energy Audit Starter Kit. Supplies are limited and kits are priced to sell fast, so ORDER, NOW! Ask us about our DIY Wind Turbine Kits, DC Charge Controllers, and AC Power Inverters, too. We can help you get off the grid while on a budget. And don’t forget to grab the FREE 18-page solar-energy report! We all need to get off the grid. I like your web site! Hurricanes, earthquakes, fires, floods, black-outs…there are many reasons one might find oneself without electricity. Though I wouldn’t choose to experience disaster of any sort, I do tend to enjoy the enforced quiet and temporary disconnection. The biggest and most immediate downside of being “powerless” is the lack of refrigeration. Food is expensive and spoils (relatively) quickly. Enter the low-tech refrigerator made of clay-pots, sand, water, and a towel! Perishables saved. This little DIY gem is definitely going into my bag of tricks. I definitely will try this. I am looking for any way to help me move off the grid. If I set these into the ground and made a drip system to keep the sand wet maybe this would be almost like having a refrigerator. This video made me wish I had a cold one right now! Maybe one day they will make regular size refrigerators like this that only uses a little bit of electricity to keep the sand wet. If they were good I would buy one. I am changing everything in my house to be more green but not using electricity for refrigeration is almost impossible. interesting. looks easy too but it takes a long time to get cold. i would get some giant clay pots and put ice in there to make it go faster. excellent idea. i wonder if this would work for a pot big enough to hold a couple of cases of beer. It might be difficult to find film canisters in the digital age, but the canisters which hold diabetics’ test strips are plentiful and quite possibly a better fit. The lights require no maintenance, although Alfredo Moser, the Brazilian inventor, suggests changing the water every five years. I gotcher green technology right here. And it’s virtually free! The barn of my dreams has at least four per stall (these lights are perfect for use with Drojo SIPs, which are easily cut with a hot knife), and a plethora down the center aisle. I look forward to seeing them in various stages of moonlight, as well. Ingenuity is exciting, and these solar lights — each of which is equivalent to a 50-watt or 60-watt bulb and provides natural light — are ingenious. 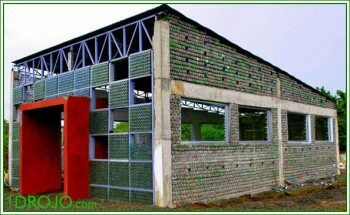 My dream home-slash-studio may be an adobe Drojo (with a hydroponic garden attached to the kitchen [and a central, enclosed courtyard]), but a smaller version of this classroom made of recycled 2-liter plastic bottles is now my dream potting shed. What a fantastic idea!! The building is charming. I am wondering how to go about collecting enough empty plastic bottles as we never buy sodas. I am so glad I found your lovely blog! Too cute! This kind of building would be good for my chickens and I would not need many empty bottles to make a nice coop. You have unique things I never saw before. I hope you will post more. This idea is so simple I wish I thought of it. I built a small garden shed with beer and wine bottles and concrete but I like this better and it would be less work. This is the best way I have seen to recycle plastic bottles and keep them out of the landfills. Glyphosphate is Roundup, the gift which keeps on giving. Thank you, Monsanto [and SourceWatch]. Considering Roundup’s negative effects upon the health [Project Censored], it’s frightening to realize that shopping for produce is the new minefield. A greenhouse is one way to grow indoors — but seasonal temperature changes and too little or even too much sun can be a gardening problem for much of the year. DROJOs’ superlative R-values make four-season growing both possible and a pleasure. Not too hot, not too cold, it’s always juuuuuuuust right. Drojos’ superior green construction properties were designed to ensure that your garden will flourish for decades. 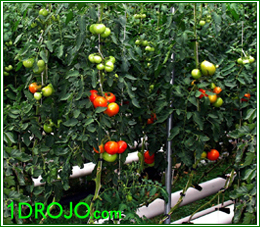 Although strong enough to have easily passed thorough testing (by engineers using Miami-Dade Protocol PA 203 criteria) at the Hurricane Test Laboratory, a Drojo can be easily modified with advances in hydroponics and other indoor growing systems. Stand-alone Drojo grow houses are an excellent investment, but we are also happy to convert any standard construction plan’s architectural and engineering specifications for use with Drojo SIPs, free of charge. And going Drojo provides manufacturing jobs for American workers, so there’s never been a better time to add an indoor garden to your home! Imagine a doorway leading from your kitchen to a never-ending harvest for you and your family (with enough left over for friends). Drojos make great root cellars, too! The 8 x 12, 12 x 12 and 8 x 24 are our standard sizes for indoor-gardening hydroponic grow houses intended for use in residential areas, but custom Drojos are no more expensive per square foot. Delivery is four-to-six weeks from date of order, and each of the three standard units can be erected by two people in a matter of hours. Depending upon the cladding desired, a Drojo hydroponic grow house can be completed and “outfitted” in one long day or a weekend. Contact us today for further information, a personal design consultation, and/or a quote. We’re here to help you assure that your family’s diet contains high-quality nutrients, not lethal toxins. And that your children and grandchildren will know the taste of a real tomato. Go Drojo, go green, go organic! Posted in: Green Homes, Hydroponic. Thank you so much for this! I like that you have so much free information anyone can use. Most blogs only tease to sell things. Bookmarked! 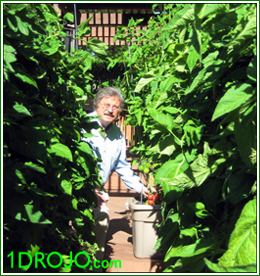 Drojos make wonderful grow houses for hydroponic and hybrid gardening. It’s both a shame and an inescapable fact: our food sources now require protection from all-too-many forms of pollution. Chemtrails, radiation (and irradiation), mercury and Monsanto are but a few of the dangers we face, and growing one’s own fruits and vegetables — although a step in the right direction — is most unfortunately not as safe as growing the produce indoors. Drojos (and hydroponics) make four-season growing possible in any climate and provide greater control over water and soil purity. A Drojo is also much better than a hoop tent as, unlike the tents, the Drojo will last for decades. “The EarthTainer Project is intended to bring sustainable, organic gardening to both rural and urban gardeners worldwide with a 100% self-contained eco-system design that does not waste water. The closed-loop watering system concentrates all of the water to the plant – and not to weed production nor run-off. Water reduction of up to 75% can be achieved. So whether employing standard hydroponic technology, EarthTainer’s hybrid gardening system, or any other of a number of indoor gardening techniques, contact us today for your free Drojo quote! We will be happy to help you create the sustainable indoor organic garden (residential, community, or commercial) of your dreams. Green Drojos and green thumbs are a match made in heaven! Don’t forget — Drojos’ green building system components are Made in the USA. Growing nutritious foods for your family provides good jobs for the American worker and donations which support your favorite causes. Go green for a better world. Today! The award-winning DROJO green building systems have been in use both nationally and internationally for more than twenty-five years. This mobile veterinary clinic will soon be used by emergency responders in areas hit by natural disasters, proving the technology is limited only by one’s imagination. So, just IMAGINE! 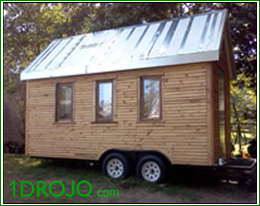 Drojos are perfect for creating both residential and commercial structures, and there’s nothing better for a barn, kennel, or hydroponic grow house than a Drojo. Architectural plans and drawings will soon be available at 1Drojo.com. DROJOs.inc is a non-profit corporation, and 75% of the proceeds from each project will be donated to related charitable concerns (the remaining 25% will be used for animal rescue). Build homes and 75% of our proceeds house the homeless; build dormitories and 75% of our proceeds fund scholarships; build hydroponic grow houses and 75% of our proceeds provide Drojos for inner-city gardens — it’s just that easy! Go green for a better world. Made in the USA, DROJOS.inc provides manufacturing jobs for American workers. Drojo Was Made for This! 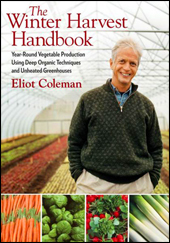 The Winter Harvest Handbook for Year Round Vegetable Production. Deep Organic Techniques. Unheated Greenhouses. 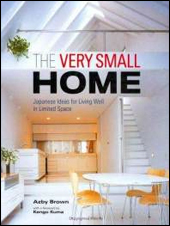 The Very Small Home: Japanese Ideas for Living Well in Limited Space. Zen Drojo, Green Life, Serenity Now. 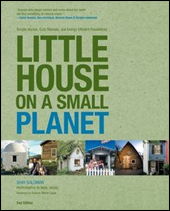 Little House on a Small Planet: Simple Homes, Cozy Retreats and Energy Efficient Possibilities. Go Drojo SIPs! Compact Cabins: Simple Living in 1000 Sq. 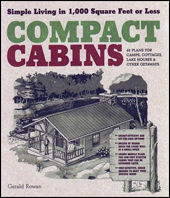 Ft. or Less; 62 Building Plans for Cottages, Houses, Getaways -- Drojos! © 2019 There's Only 1 Drojo is a WordPress blog.